We briefly presented this piece of art on the 5th of July.The newest ZED crankset will set new stiffness and lightness standards at its release during the fall. thanks to a dual chainring screw position. 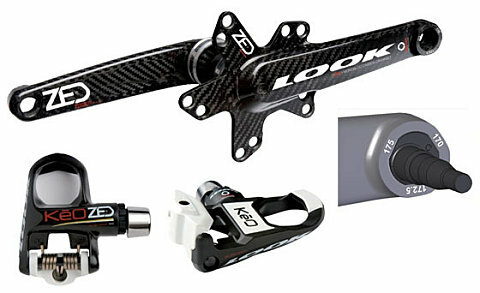 Beside this, the length of the crank arm will be adjustable according to the preferences, through the TriLobe system. Absolutely a wonderful component, which is well thought too, both because of the standard/compact transmission compatibility, and because of the arm length adjustment. custom wheel Lew B+/Extralite SX with only 10 thin and aero spokes. 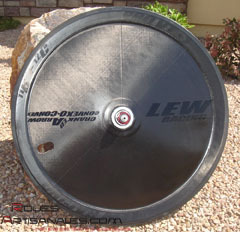 In term of aerodynamic, the wheels were at the top, with only 320g. carbon/boron « fairing ». 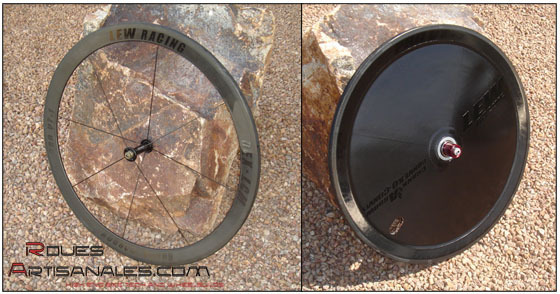 According to the manufacturer, this wheel would be faster than the Sub9 from Zipp… we should know more soon. Finally! 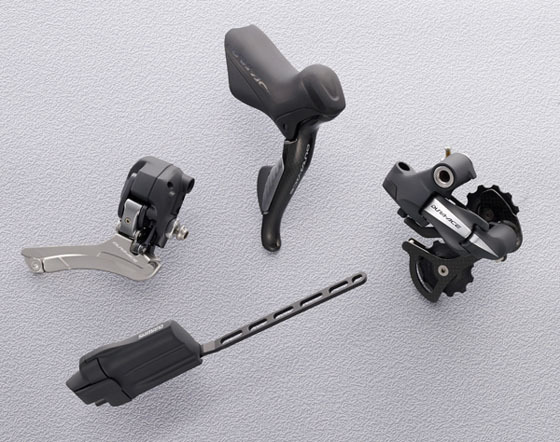 The Shimano electronic groupset has been officially unveiled and it will be available for 2009.
the current Dura-Ace 7800 groupset, and about 68g heavier than the Dura-Ace 7900, 2009 version.